Solvent based. Suitable for use on brushes, rollers and pads. Cleans gloss, emulsion, varnish and is water washable. Contains conditioner to prolong brush/roller life. 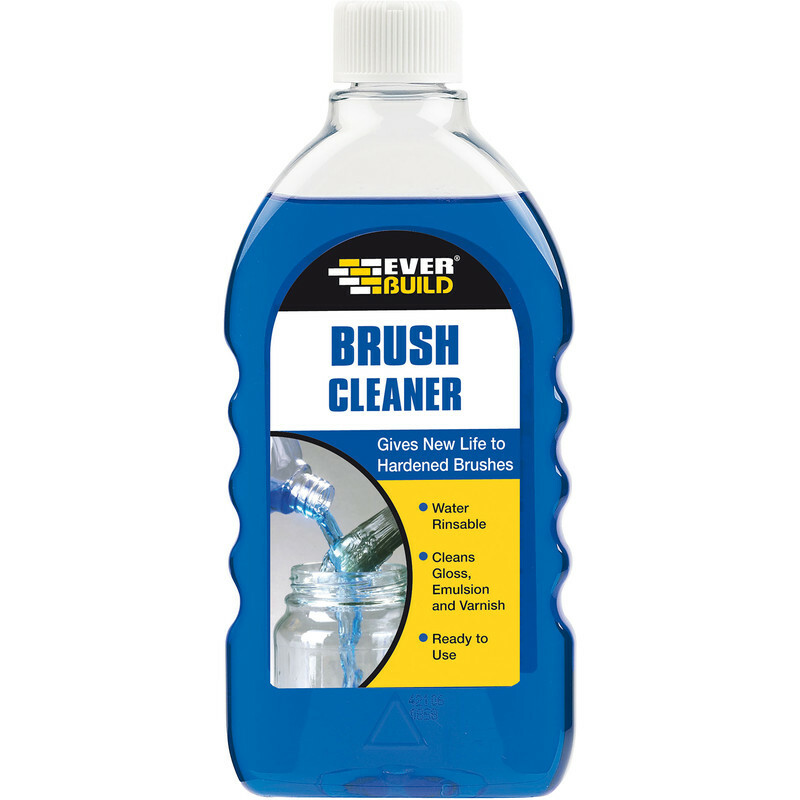 Brush Cleaner 500ml is rated 4.7 out of 5 by 13. Rated 4 out of 5 by Scott1982 from Does the job. Only brush cleaner i use and does the job. great value at toolstation. Rated 4 out of 5 by JOHN12 from Brush cleaner It cleans brushes, nothing else to say. Rated 5 out of 5 by keith1 from gr8 product works fast and easy to dry off brushes rcommend good value. Rated 4 out of 5 by Rockin from Works well - but This is a really good product but expensive for 500ml , I would like to see it in at least 1ltr bottles. Rated 5 out of 5 by Prophill from Great Value I was a bit doubtful that this product would be any good for the price, but I was pleasantly surprised as it matches Polycleans.